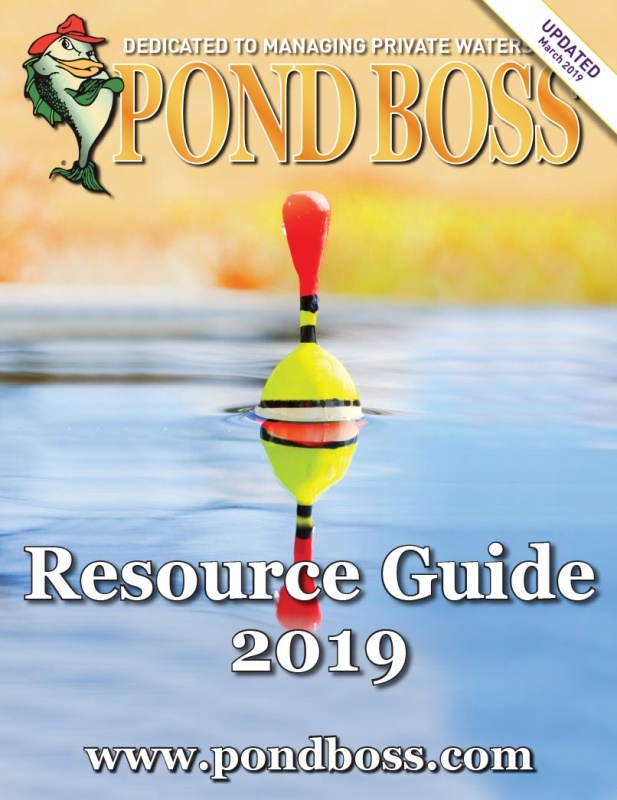 Welcome to the Pond Boss Resource Guide, your source for the best pond management products and services. Need a quality aeration system for your pond? Want to hire an experienced pond builder? Need a fish feeder, a dock, a product to help control aquatic plants? It's all right here in the Resource Guide. Arranged by category, you'll find an elite group of companies, products, technologies and experienced professionals to help you make the most of your private waters. When talking ponds, pros refer to “acre feet”. An acre foot is one surface acre, one foot deep. If your pond covers 5 acres and averages 8 feet deep, you have approximately 40 acre feet of water. Doesn’t sound like much, does it? Nope, until you learn that one acre, one inch deep is 27,000 gallons of water. Actually, an acre-foot of water is slightly more than 325,000 gallons. Why Pond Boss? If you own or manage private waters anywhere in the world - or want to - Pond Boss is the leading authority. Pond Boss magazine and pondboss.com.